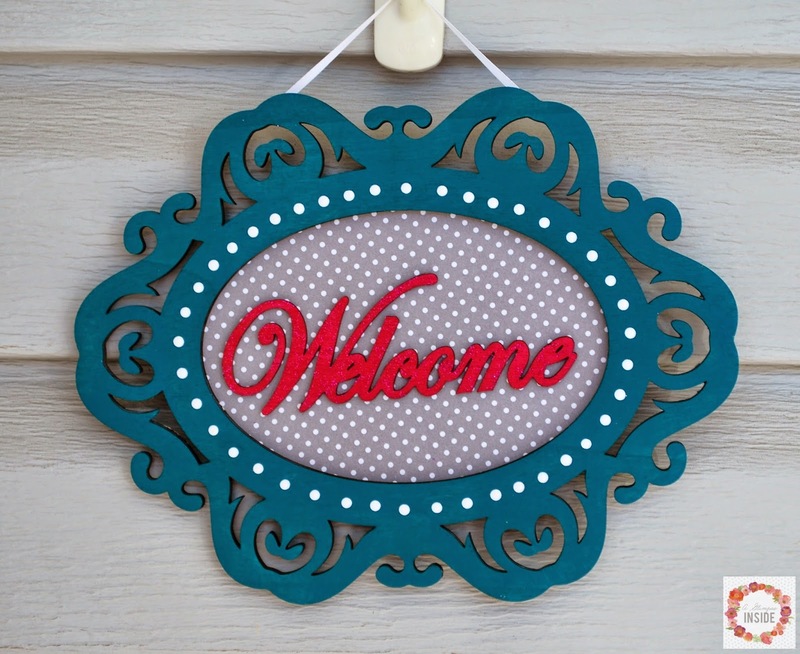 "I wrote this post as part of a paid campaign with Plaid Crafts, Michaels and Blueprint Social. The opinions in this post are 100% my own." It has already been a super cold winter here in CO and I am definitely ready for the warmer temperatures to show their face again. You know it has been cold when high 40s and 50s feel like a heat wave! It probably isn't a real good idea for me to already be looking forward to spring when it is the beginning of January but I am doing it anyways! So I have a super easy and quick craft for you today using Plaid's Spring Wood Surfaces available at Michaels. Again, it is such an easy project so here is how I created it. 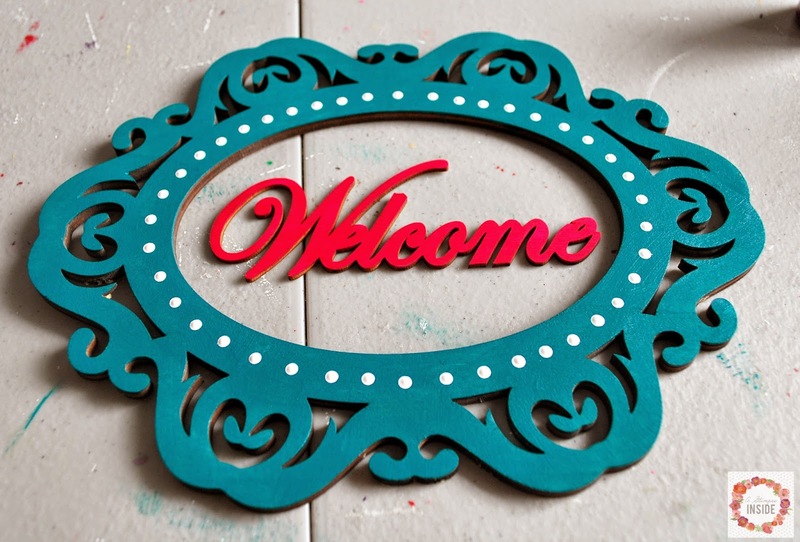 -Spring Wood Surfaces- frame and the word "welcome"
You will want to begin by giving your spring wood surface a coat of paint, probably two actually. I used a teal color paint. 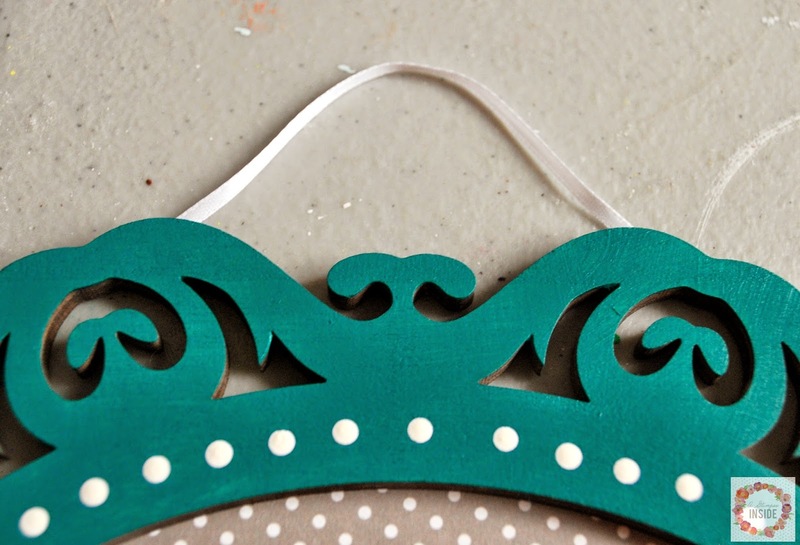 Add any embellishments that you would like with paint or otherwise. I opted to add a few white polka dots. 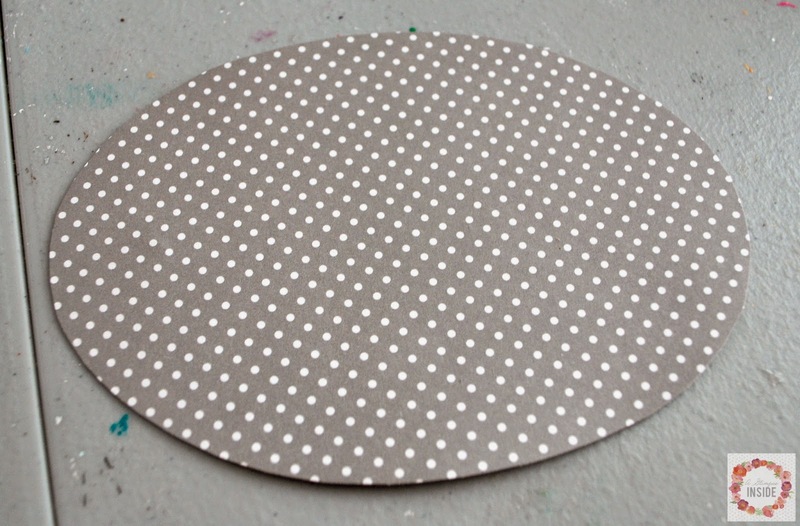 Here's a tip: Use the wrong end of a paint brush dipped in paint to make the perfect, same size dots every time. 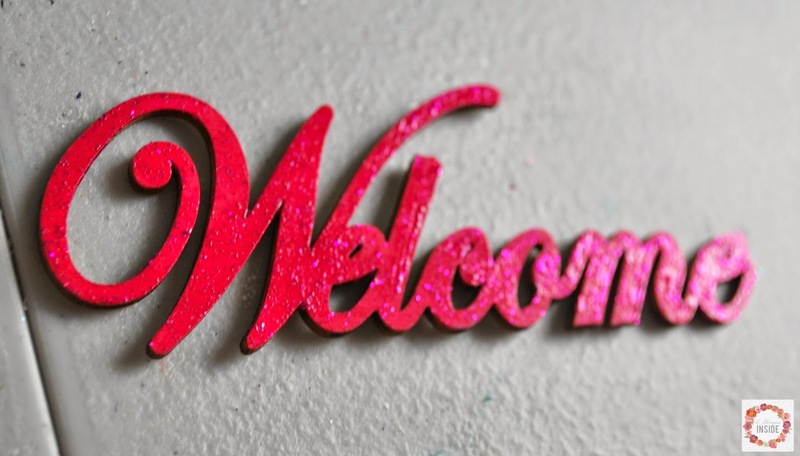 I painted the "welcome" a raspberry color and added a touch of glitter to it. While your paint is drying, time to work with your scrapbook paper. 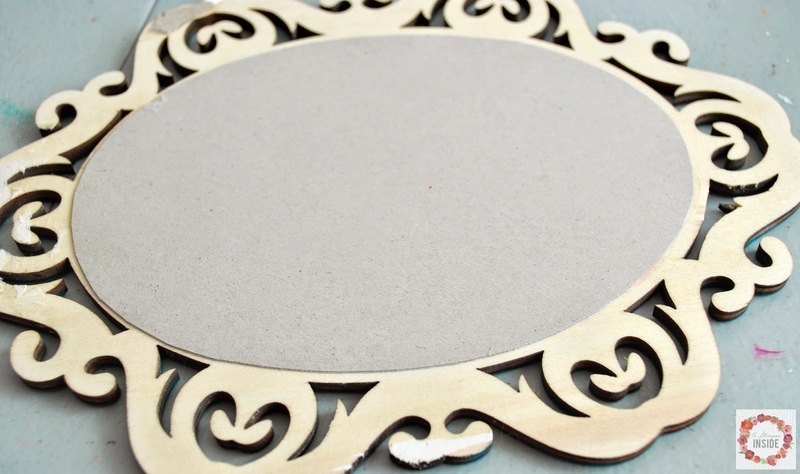 Cut the paper in the same shape as the hole in your frame. I had an oval frame so I cut an oval a little larger than the hole of my frame. 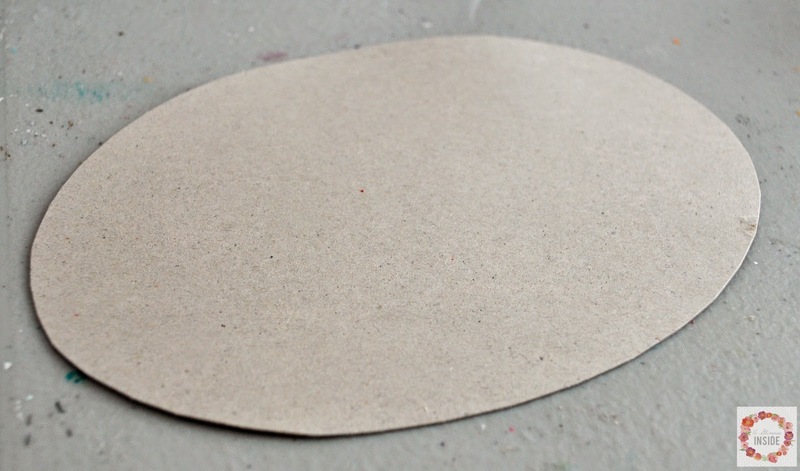 Cut another oval or square or whatever shape out of chip board or thin card board like a cereal box. You are going to glue your scrapbook paper to this piece to make it thicker and more sturdy for the word. 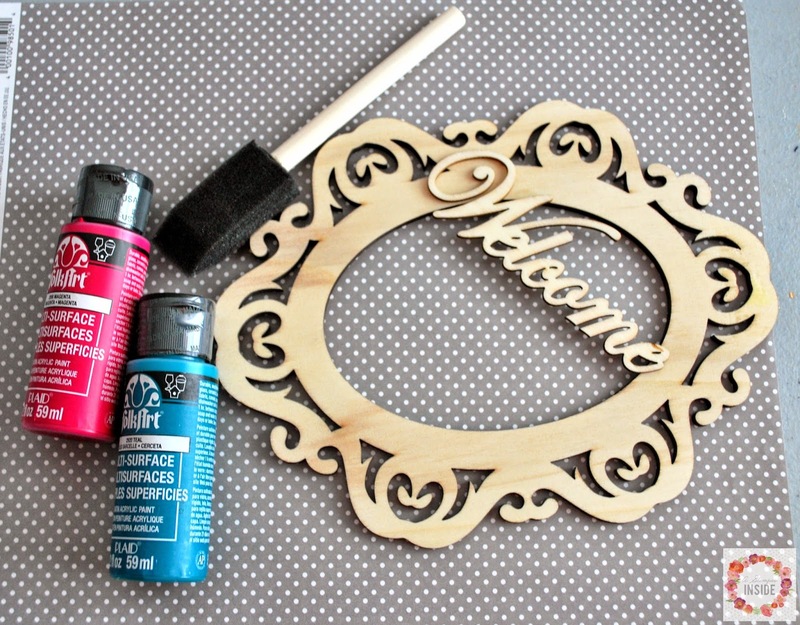 After your paint is dry, which doesn't take long, it is time to fully assemble your sign. Time to pull out your good multi-purpose glue, I used 527. Hot glue may come apart over time since your sign will be out in the elements. 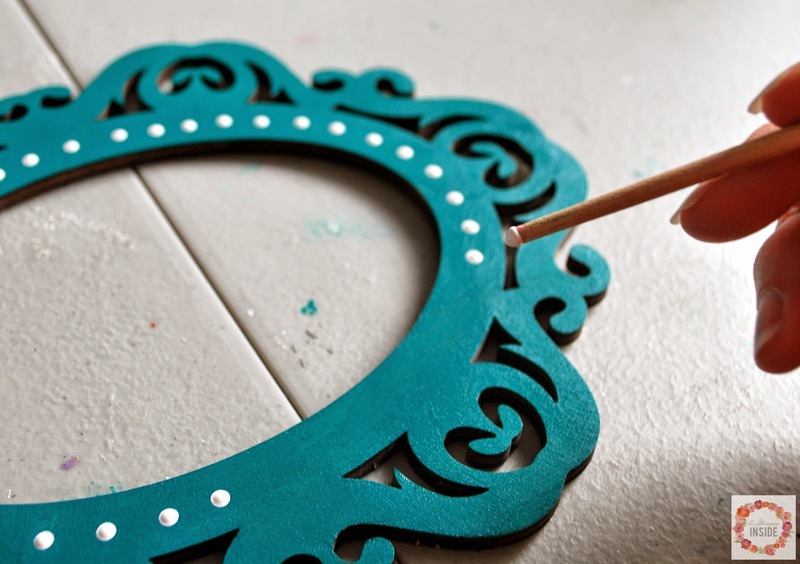 Place a bead of glue on the back side of your frame and place the paper. Place something heavy on the back of your frame for a few minutes to make sure the paper is glued down before flipping over. 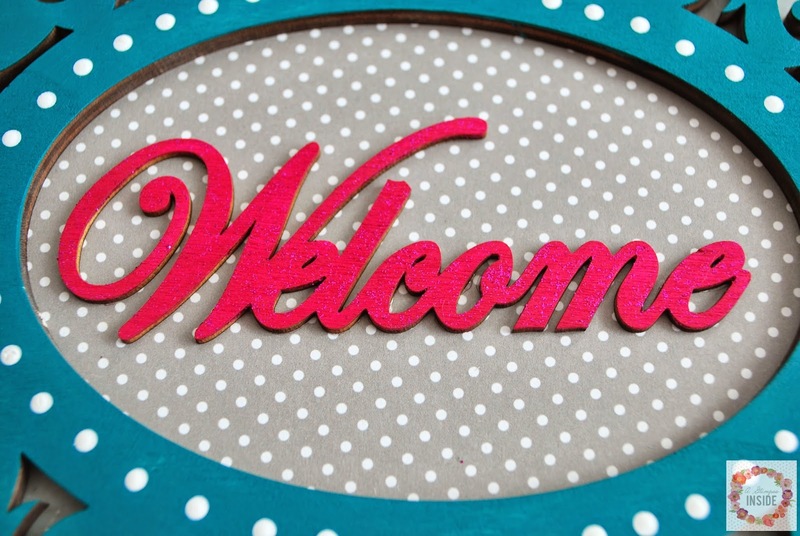 Then, flip your frame over and glue the "welcome" to the paper. Again, place something heavy on top to make sure the word is glued down well. After all was dry, I glued a ribbon to the back side of the frame to hang it. At this point, you can give your entire sign a coat of outdoor Mod Podge depending on where you will be hanging your sign. You don't want it to get wet and ruined. I did not do this because we have a covered porch and it is set back a little but I will probably add something to it to make it a little heavier since we do get some CRAZY winds here in CO. 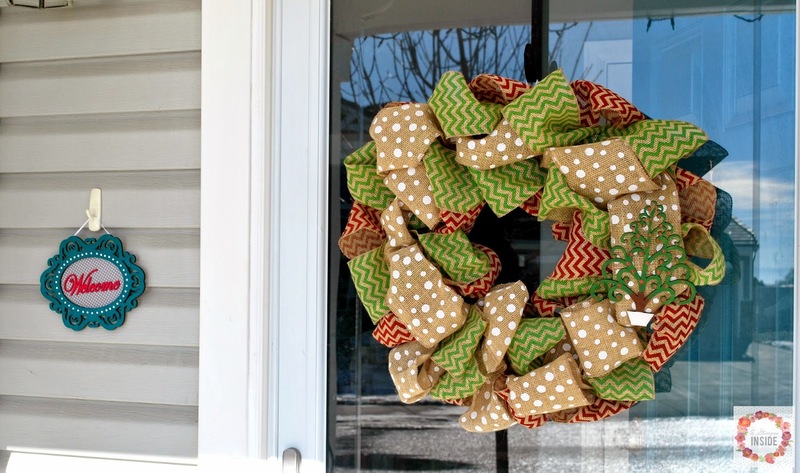 But once complete, hang it on a small hook and you are ready to greet your guests! I love how it looks on my hook by my door but after I took this picture I realized it would look fabulous in the center area of a new, fun wreath so I think that will be happening soon! And here are some other fabulous ideas using the Spring Wood Surfaces available at Michaels. Love seeing what everyone made with their box. Love your sign and the colors are so bright and awesome! One Lucky Veteran can Win a 7-Eleven Franchise!